Suffering from very damaged hair? Looking for a masque that will restore hair’s health? 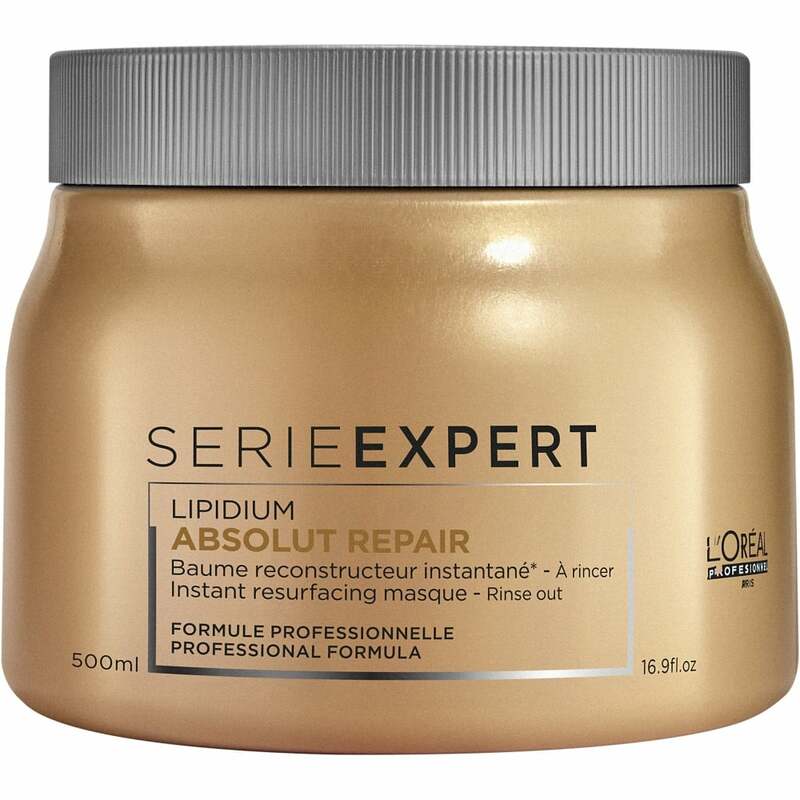 Look no further than L’Oreal Professionnel Absolut Repair Lipidium Mask, a deep conditioning mask that has been inspired by skincare treatments. The mask helps to restore lipids that can be lost through use of chemicals, heat styling and external aggressors including sun, salt and chlorinated water. These cause hair to break easily, make hair styling become difficult, fade coloured hair and make textured hair lose it’s bounce. L’Oreal Professionnel Absolut Repair Lipidium Hair Mask provides deep nourishment to dry and damaged hair within minutes. The mask is enriched with a Lipids, Ceramides, Lactic Acid and Phyto-Keratin. In conclusion all of the mentioned help to make hair smoother and softer from root to tip.